This striking Tier VI soldier is ready to follow your orders. 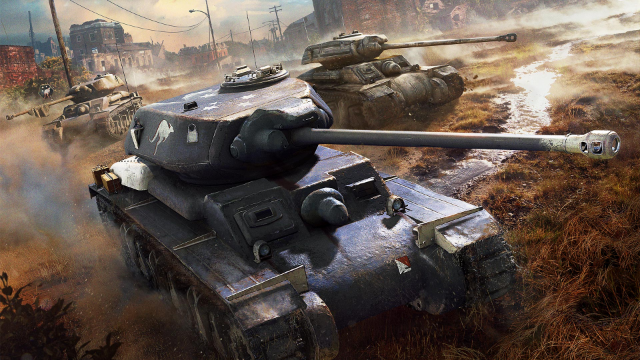 The tank doesn't boast sturdy armor, but it features great mobility and rate of fire. It is most effective when supporting allied vehicles from long range and can easily circle a clumsy enemy. Moreover, it will regularly earn you a considerable number of credits in battle. Complete the Sentinel Challenge and seize the AC IV Sentinel! I'm keen for the sentinel! Hope I can grind it in time. Edited by BossArdnutz, 08 April 2019 - 10:44 AM. Just want that camo. Hope we see more in this line (nation-specific). What happens if you already have that Tank ? Edited by Creighton_Abrams, 15 April 2019 - 02:15 PM. If you already have the tank you get credits and (I think) a garage slot. It's mentioned in the full event news item. If you already have the AC IV Sentinel in your Garage, you will receive 600,000 and a Garage slot as compensation. And the RIbble reference ... ?